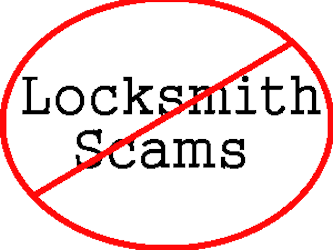 They answer the phone, “Locksmith” instead of with their EXACT company name (“Hello, Colorado Lockouts.com”). Their vehicles have almost no markings in terms of signs and phone numbers. The ‘technicians’ have no uniforms (or at least one identifiable marking on their person – like a shirt, vest, jacket, etc.). You can hear a lot of separate conversations in the background (because you are dealing with a ‘call center’ and not a local office). No company profile anywhere (Google, Yelp, Bing, etc.) – This is because every single client would leave a scalding review. AND THE NUMBER ONE SIGN….THEY CAN’T GIVE A BONA FIDE PRICE OVER THE PHONE. Simple. If a company can’t give an exact price – then you are about to be ripped-off. Sure as you are breathing!